Р. 74-81, Bibliography 32, Ukrainian. CARBOHYDRATES AND LIPIDS IN Chlorella vulgaris Beijer. Currently technologies of utilization of algae not only for indication and purification of dirty water but for biofuil manufacturing are developed as well. Among fresh water, Chlorella vulgaris and Poecilia reticulate species are especially important because they use and metabolize petroleum components in river of West Ukraine regions. The effect of diesel fuel on the intensity of biosynthesis of proteins, carbohydrates and lipids in cells of unicellular green algae Chlorella vulgaris Beijer., and the contents of pigments were shown. Diesel fuel stimulated intensity synthesis of proteins (by include 14C-bicarbonate) and lipids (by include 14C-acetate), and inhibited synthesis of carbohydrates by incorporation of labeled precursors. The relative content of triacylglycerols, dyacylglycerols and nonesterified fatty acids was increased in the green algae cells, hovewer the intensity of synthesis of certain classes of lipids (triacylglycerols and dyacylglycerols) was decreased. The content of chlorophylls a and b was increased but with the extension of the toxicant in culture medium content of chlorophylls was significantly reduced. Maximal term of cultivation of algae, during which diesel fuel does not influenced on metabolism in the cells of chlorella, makes 7 days, which can be recommended as the optimum period of biotech cultivation of chlorella together with diesel fuel. Key words: Chlorella vulgaris Beijer., including 14C-acetate and 14C-bicarbonate, proteins, carbohydrates, lipids, chlorophyll, diesel fuel. 2017-07-21 - REGULATION OF CHLOROPHYLL DEGRADATION IN PLANT TISSUES Syvash O. O.,O. 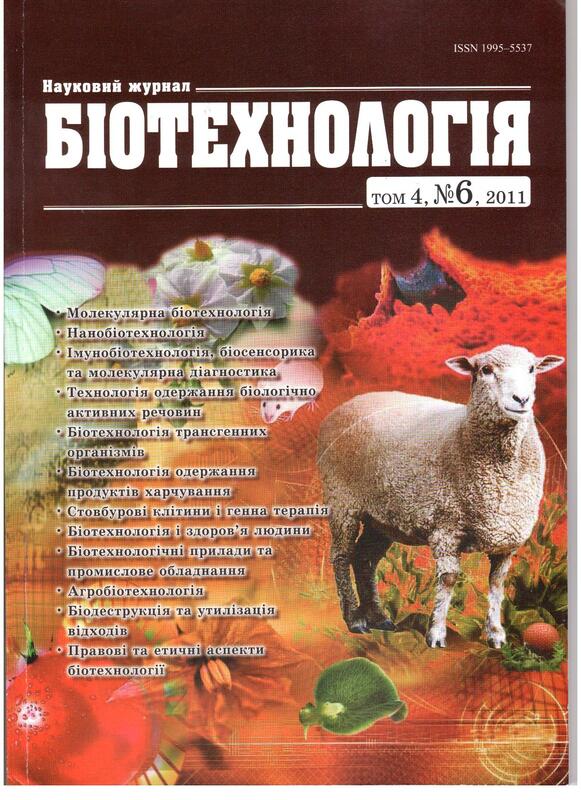 O., Zolotareva O. K.
REGULATION OF CHLOROPHYLL DEGRADATION IN PLANT TISSUES Syvash O. O.,O. O., Zolotareva O. K.